As we build the second phase of the BART Silicon Valley Extension (BART Phase II) into downtown San Jose, VTA has embarked on a study of potential growth in housing, commercial and retail space near the Santa Clara, Downtown San Jose and Alum Rock/28th Street station areas. Transit-Oriented Development (TOD), also referred to as Transit Oriented Communities, offers a unique opportunity to shape the future of our planned Phase II station areas. 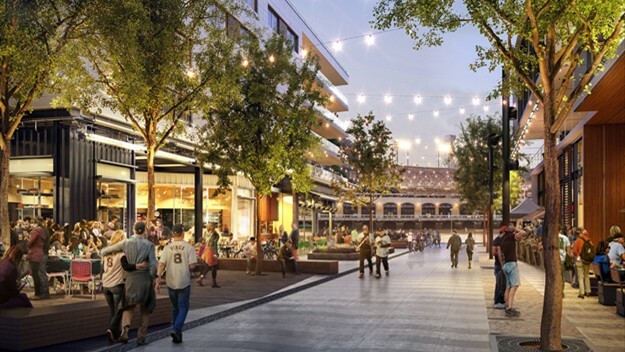 When the public thinks about the Phase II project, they think of rapid rail coming to Santa Clara County – but the mixed-use development near station areas is also an important part of the project. So, what is TOD? TOD refers to dense development that offers a wide range of housing, employment, and recreational choices in a pedestrian friendly community around nearby transit stations. In addition to helping keep vehicles off the road, TOD can also improve local quality of life by reducing displacement through affordable housing, support the local economy with ground floor retail uses, and create a vibrant and sustainable environment. Growth around the Diridon Station is included in a separate effort, the Diridon Integrated Station Concept Plan. This study aims to recommend strategies and policies to guide future TOD efforts.